Treebo Siddharth, situated on Ajmer’s Jain road is within 1 km from the Dargah Sharif and only 10 km from Pushkar. The hotel offers room service, chargeable laundry option and parking space on-site. All the rooms have air-conditioning, coffee table and LCD television with cable/ DTH connection. Complimentary Wi-Fi for all guests and toiletries in the private bathroom. 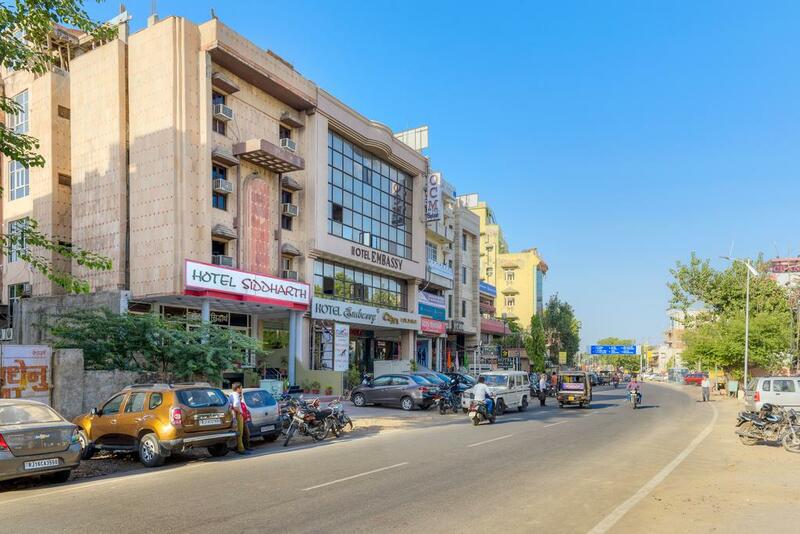 The hotel is 1 km from the main bus stand, 2 km away from the Ajmer junction and 135 km from the Jaipur Airport. Mango Masala, 500 meters away is the nearest restaurant.